A series of sexual harassment complaints against McDonald’s in the past month has laid the groundwork for a potential new joint employer battle for the purveyor of patties. Fifteen unique charges have been filed with the EEOC in the last 30 days alleging sexual harassment against cooks and cashiers in McDonald’s restaurants. If the EEOC finds the claims to have merit and is not able to reach a settlement (“conciliation”) with McDonald’s, the agency will likely proceed to federal court. There, the EEOC is almost certain to use the NLRB’s reasoning in Browning Ferris (2015) to rope McDonald’s corporate into the case, labeling them with the dreaded “joint employer” tag. This type of case would be among the first of its kind, where the reasoning from the Browning Ferris case would be used in the context of widespread discrimination. And if that’s not enough, McDonald’s is already defending a separate series of joint employer claims brought by the NLRB in federal court, alleging that franchisees committed labor violations. 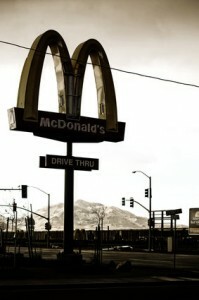 These claims grew out of the “Fight for $15” movement in New York City in 2012, but have evolved into a broader scope of labor law claims against McDonald’s. This type of case is much more common, but no less difficult for McDonald’s to handle. Currently the parties are slugging it out over the admissibility of employee text messages and their relevance to the case. Nobody wants to go down that legal rabbit hole. 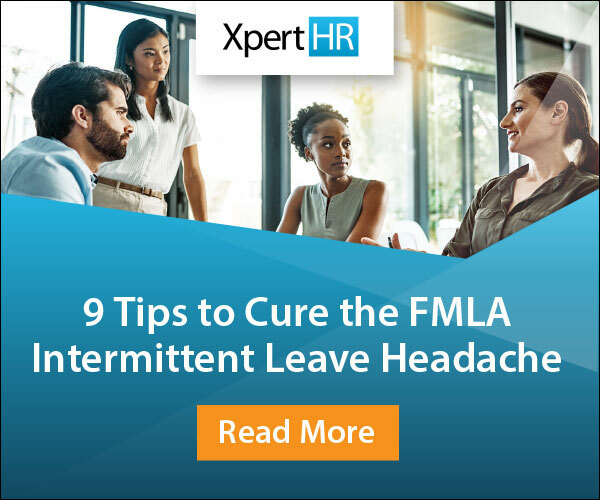 The takeaway for HR professionals in franchise organizations is that it’s a brave new world out there while Browning Ferris is the law of the land, and the results of lawsuits proceeding with this line of reasoning are sure to be concerning. There’s also the damned-if-you-do-damned-if-you-don’t obstacle. If you install protocols or procedures for your franchisees to follow so that they don’t commit harassment or violate labor regulations, you place yourself squarely in the joint employer crosshairs if something does go wrong. Alternatively, if you give franchisees no legal support – the ostrich approach – they’re more likely to commit violations in the first place. The panacea for this problem is information and communication. Make sure your franchisees know they have to operate independently in order for the relationship to work for both parties and vet potential new franchisees (in part) on their ability to be self-sufficient and a history of compliance. But also, make sure they have the right resources in place as well as accurate information to work with so that they can be both independent and compliant. The future isn’t standing desks, it’s reclining desks. Let’s be honest here for a minute – standing up is sort of uncomfortable after a while, isn’t it? I get some people can do it for hours and hours, bravo for them, but most people prefer sitting. And do you know what’s better than sitting? Reclining. That’s why Silicon Valley companies are rolling out high-tech reclining desks for employees which – anecdotally at least – have already had a huge impact on employee retention. Yeah, I know these things cost $6k a pop, but if it leads to happier, healthier, more productive employees isn’t that something worth considering? Former writers for Gawker.com are now covered under a liability insurance policy provided by the new owner of the previous Gawker media empire, Univision. Most of the writers have moved on to other media properties within the former Gawker ecosystem like Deadspin and Gizmodo, but now those same writers have indemnity from individual liability for their work and their reporting. In an industry that is apparently beholden to the whims of billionaire, agenda-driven litigants like Peter Thiel, there’s no security blanket that a former Gawker writer could ask for better than this. Lots of companies are considering buying Twitter. Lots of companies are also strongly considering not buying Twitter. There are many reasons for this perceived hesitation among suitors, including a series of logistical and cultural obstacles to any successful acquisition. In particular, the Twitter workforce has already been through a tremendous amount of turnover in the recent past, and they’ve watched as their employee stock grants lost almost half their value in the last year. Does that sound like a happy, healthy, enthusiastic workforce that an outside company would be eager to deal with? Or maybe like lots and lots of complaints waiting for a new set of ears? WeWork, the largest “co-working” startup, will amend some sections of its handbook after tussling with the NLRB. Specifically, the new version of WeWork’s handbook will make it clear to employees that they are permitted to discuss terms and conditions of employment and will not discourage them from reporting concerns simply because they might be newsworthy or forming a union. According to a federal judge in Brooklyn, “Onionhead” is a religion worthy of protection by Title VII. In support of the decision, the judge found that the employees who claimed discrimination based on their religion demonstrated their “sincere” belief by praying, conducting workshops, presenting on the religion to others and creating and disseminating written Onionhead materials. The court also found that their cultivation of the “religion” in the context of God, spirituality, Satan and where the (ahem) Onionhead fits in among them meant that the sincerely held beliefs concerned religious principles, qualifying this particular set of beliefs for protection from religious discrimination. That’s cold. Really cold. A law clerk for a sitting judge in New York claims she was fired – while out on maternity leave – via text message. The clerk has now filed an EEOC charge against the judge, accusing him of making “sexist, archaic comments” and having expressed his views to her repeatedly that a woman’s place should be in the home after childbirth. Ironically, if the claim proceeds beyond the EEOC’s investigation, it may end up right back in the same court system where the judge presides. Safe to say he’ll have a conflict of interest. The hits just keep coming for Marissa Mayer and Yahoo, even after having been acquired by Verizon. A new lawsuit alleges that Yahoo discriminated against men under Mayer’s regime, that the embattled CEO implemented a job review process designed to systematically remove men from the ranks and that Yahoo violated the Worker Adjustment and Retraining Notification (WARN) Act. This is the second lawsuit this year claiming that Yahoo discriminated against men, but this one concerns Yahoo’s quarterly performance review system – newly implemented by Mayer – which the plaintiffs say permitted more arbitrary and easily-manipulated performance reviews. In the last edition of HR Intel, we asked you how “Good” by Better Than Ezra is related to HR. My take on this song is that it’s about the most ambiguous and least helpful “Dear John” letter ever. The narrator returns home to read a letter written by his former lover saying, “It was good living with you,” yet she’s clearly left permanently, and without any explanation as to why. Now imagine a performance review where an employee is rated as having done a “satisfactory” job, but without any meaningful detail as to what was done right or wrong. And if you part ways in the future, for whatever reason, those ambiguous reviews will come back to bite you. Don’t sugarcoat your feedback if you’re going to bother giving any, otherwise you’re likely to leave employees with the wrong impression. We leave you with “Get By” by Talib Kweli.